If you spend any time researching how to free up space on a Windows PC, one piece of advice you’ll see again and again is to delete temporary files. That sounds very sensible. But what are temporary files? Where are they stored? And if they’re temporary, why are they still on your hard drive taking up space? Get answers to all of these questions, and find out how to get rid of temporary files quickly and easily. 1. When you use an application like Word or Excel that allow you to undo edits you’ve made, Windows creates a temporary file to hold data on the the changes you make. 2. When applications need more memory than is available in physical RAM, Windows uses virtual RAM and creates temporary files are created to hold the data. 3. When you print a document, Windows first spools the print job to a temporary file before it’s sent to the printer. 4. Temporary files are also created by web browsers in order to caches web page and store your web browser history. In all cases, temporary files are created and should then be deleted once the operating system no longer needs them. If not removed, they can pile up up and take up a substantial amount of disk space. Where are temporary files stored? Temporary files are stored in a number of different places, depending on what has created them. Those created by the system are stored in C:\Windows\Temp However, temporary files are also created by applications and those are stored in your user folder in the application’s App Data directory. And web browsers store their temporary files in their own cache folders. For example, Internet Explorer stores its temporary files in a folder called Temporary Internet Files folder. The location of that directory varies depending on which version of Windows you’re using. Why should I remove temporary files? Temporary files, and the clue is in the name, are not intended to live permanently on your hard drive and under normal circumstances will be deleted when they’re no longer needed. The fact that they’re still there usually means that a Windows session has ended abruptly or that something has gone wrong. Temporary files shouldn’t do any harm, however, they will take up space and over time can grow quite large and take up quite a bit of space. So it’s good practice to give your PC a spring clean once in a while and get rid of them. How to delete temporary files in Windows? You can delete temporary files using Windows built in Disk Clean Up utility. Once you’ve selected the file types to delete, click Ok.
You can also type %temp% in the search bar at the bottom of the start menu to locate the temp folder. However, the folders that house data for apps is hidden, as the one that holds temporary internet files. So, you’ll need to enable Show hidden, files, folders, and drives in Folder Options in order to see them. 3. 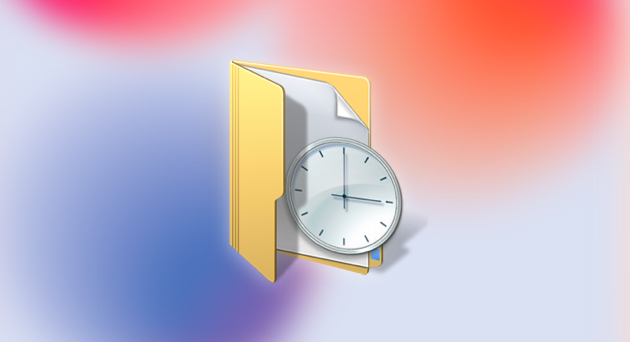 In the Trash & Junk folder you will find Temporary files and check them. You may check other types of files you'd like to remove, or clean temporary files only. CleanMyPCwill track down and delete all the temporary files and free up space for you. To keep your PC free from junk and temp files you should perform regular computer clean ups, as long as new temporary file will be generated really soon. Deleting them manually is possible, but it’s also time consuming and laborious. If you use CleanMyPC, however, the process is very quick and easy to do. So download ittoday and give it a try.